Hand-Carved Barrel Stave Glass Bottle Holder (P/N BNGH-2). His woodshop is surrounded by vineyards located in the heart of California's Valley of the Moon. 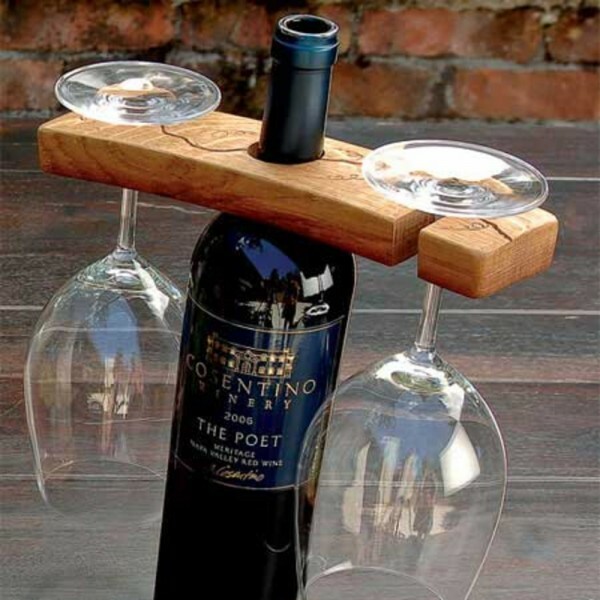 All the Glass holders are made completely out of beautiful reclaimed American and French Oak wine barrels. Jonathan's goal is to build distinctive, unique, heirloom-quality barrel stave Glass holders for the wine lover. Approx 1 1/4"H x 10"W x 2 5/8"D.
Bella Barrel barrel stave Glass and bottle holders are hand-carved by fourth generation woodcraftsman Jonathan Black.